According to ESPN, the general manager Divac threw his coach despite having made the best season in the last 13 years. First hours after closing the Regular Season and first coach fired. 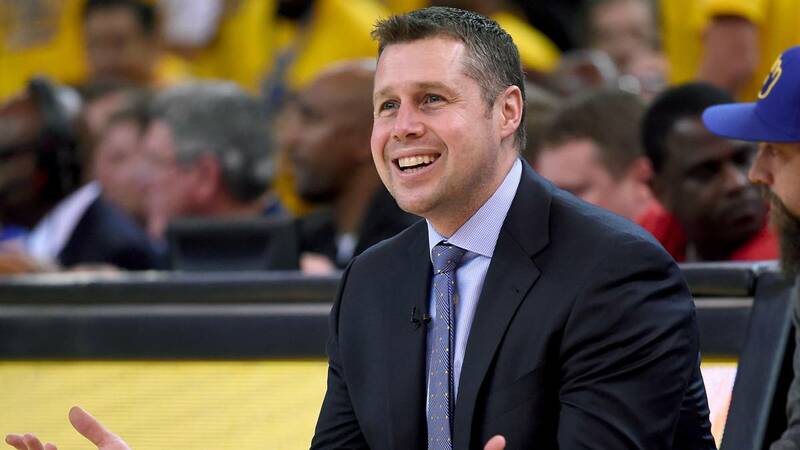 According to Adrian Wojnarowski (ESPN), The Kings Sacraments have kicked David Joerger after three campaigns in the franchise. Those of California closed the course with 39 victories and 43 defeats, the best balance since 44-38 of 2006. Despite the improvement, the Kings have stayed out again to the playoffs and are already twelve years in a row: is the longest active streak of the entire NBA. Joerger will leave the team after signing a balance 98-148 in three years (39.8% of wins) and the step forward of a template that became, during various stages of the course, the Kings in one of the funniest teams of the entire NBA with the 111111th meeting of Buddy Hield (20.7 average points) and De'Aaron Fox (17.3) . The brushstrokes left by rookie Marvin Bagley (number two of the last draft) hint at a pivot with much potential to discover. These green shoots (we talked about twelve more victories over last season) have not served the Joerger, since on the tightrope during the course by his discrepancies with the direction, mainly with Brandon Williams, right hand of the Divac by the distribution of the minutes of players like Bagley (but also of Skal Labissiere and Harry Giles). The manager was betting to give absolute priority to the rookie and the technician saw the matter in another way: he only gave him the title four times, focusing on the definitive development of Fox, Hield, Willie Cauley-Stein ... This confrontation has also affected to Williams, who will be similarly fired. Following the plans of Divac, they quickly jumped a short list of candidates to replace the Minnesota coach: Luke Walton, Ettore Messina and Monty Williams, according to Sam Amick. The first one is on the table, but it all depends on whether or not it finally comes out of the Los Angeles Lakers. The resignation of Magic Johnson makes his situation more solid in the Angelinos. In favor of Messina is his apprenticeship under the wings of Gregg Popovich. The Italian is one of the most successful European coaches and for some time has been among the possible when a bench was empty. As for Williams, assistant in the Sixers, he would be interested in recalling in Sacramento, but does not close doors and can expect a better offer.